I have mentioned before that my "day job" is working for a company called Web Printing Controls (WPC) in the printing industry. I am very grateful for WPC and very proud to have worked here for nearly 25 years. In response to the recent devastating tornados in Alabama, Web Printing Controls is sending a truck from our company headquarters to several area churches in Tuscaloosa with items to help sustain their day to day battle back from this disaster. 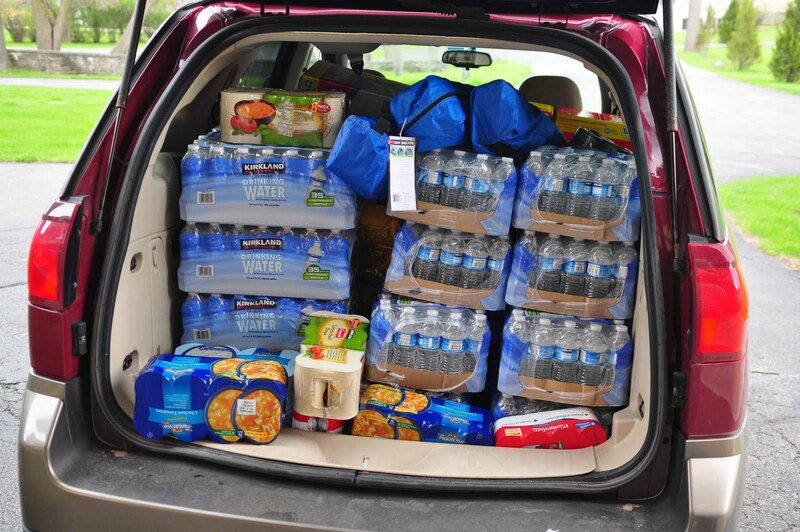 The first truck leaves tomorrow evening (May 4) with items that can be shared with the victims. If you would like to contribute to this, you can make online donations at OpenDoor Min. Drop down to the bottom of the Home Page on this link. If you live in the Chicagoland area, you can drop off any of the following items at Web Printing Controls, 23872 N. Kelsey Road in Lake Barrington by May 4th at 6pm. I will personally shake your hand and pose for a photo with you! What a prize? huh! I am actually not in many photos so they will be collectors items but will still be worth nearly nothing. WPC will be making future shipments so bring what you can when you can. May God bless all of you as you consider helping in this project of providing ongoing help, support and hope for the people of Alabama. These are the items that we have been told would be most helpful in this time of need. Any Gift Cards from Wal-Mart, Target, Lowes, Home Depot, Sears, McDonalds, Taco Bell, Pizza Hut, or Walgreens. Non perishable foods (cans pop off tops) & bottled water, shampoo, conditioner (hair products), nail files and nail clippers, contact solution and cases, face wash and moisturizer, lotion, Q-tips, toothbrush & paste, flip flops, make-up, shaving stuff for men and women, pillows, paper products (TP, paper towels), diapers & wet ones, non-electric can openers, first aid supplies, hand sanitizers, socks/ underwear, overcounter meds, shoes/workboots, work gloves, batteries, bathing clothes found in the adult diapers dept, all kinds baby supplies, baby formula. Coolers, bedding, dishes (sets of 4 and up), cookware (sets), utensils, cell phone chargers, towels & washcloths, dish towels, hair dryer and flat iron (would be nice but not a necessity), summer clothing (in like new condition), nightclothes, camping lanterns, radios, anything you would use for camping. FOR KIDS: (once again we want to take down items in like new condition). Barbie dolls, small toys, children craft supplies, arts & crafts, bubbles (small items), sports equipments. Also, please note that we are taking donation at the following locations at different times this week: May 1st –May 4th. Harvest Bible Chapel: 255 Quentin Road, Lake Zurich, IL, 60047 (during office hours). Web Printing Controls Inc.: 23872 N. Kelsey Road, Lake Barrington, IL, 60010, (847) 382-7970 (9:00-4:00). Faith Acres Farm: 120 W. Dowell Rd McHenry, IL, 60051, 815-669-0188 Monday- Wednesday 11:00 to 3:00. Here are the major things that have been collected thus far and are being stored for tomorrow nights truck to Tuscaloosa, AL. Boxes of blankets, clothing and shoes. More than 1000 bottles of water. Dozens of cans of Tuna and Soup.